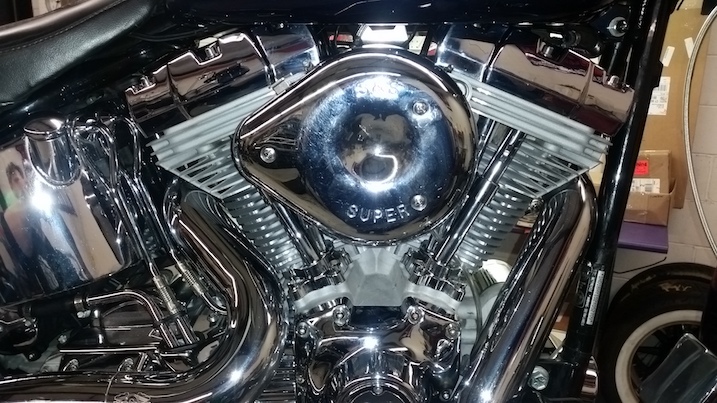 We recently had a customer’s 2002 Softail in the shop for the installation of an S&S 106 big bore conversion. S&S is one of our favorite, go to, companies when it comes to chasing horsepower, torque, and unsurpassed American quality. Order the correct kit for your year/model. Follow the instructions and installation is effortless; it’s actually enjoyable. Started this job with removal of the seat, dash and fuel tank. Next, the exhaust, top motor mount, carb and intake manifold are removed. This motorcycle came in with aftermarket rocker boxes. These were removed and not reinstalled. The head bolts are cracked loose. The front and rear heads, cylinders, and pistons are removed. S&S has very specific instructions that need to be followed. All piston ring end gaps need to be measured and verified to be within spec. The cylinders need to be washed in hot soapy water, then wiped down with brake clean and lint free towels until there is no visual residue left on towels. Then, use lint free towels to coat the cylinder walls with a thin layer of clean motor oil. The piston rings are installed into position and one wrist pin clip is installed on each piston. Lube the wrist pins and connecting rod bushings with a light layer of clean oil. It is very important to cover the the crankcase openings with clean towels or plastic. It is also important to cover the cylinder studs with rubber hose to prevent any possible damage to the pistons or piston rings during assembly. The S&S pistons are directional. The pistons are clearly marked with an arrow and the word “cam”. The arrow must face the cam compartment side of the motorcycle for, both, the front and rear pistons. Slide in the wrist pins and secure them into position with the 2nd wrist pin clip. 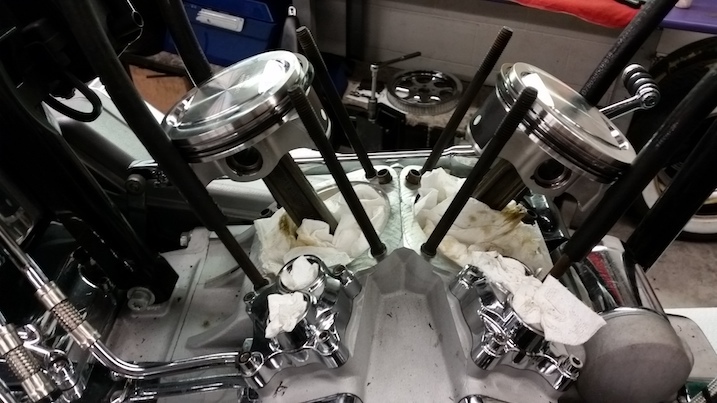 Now, lightly oil the piston rings and the cylinder base o rings and use a piston ring compressor to slide the new S&S cylinders over the pistons. Install the heads with the new, supplied head gaskets. Lubricate the contact surface of each head bolt with a little clean oil and torque the head bolts to the sequence and the specs provided in the S&S instructions. 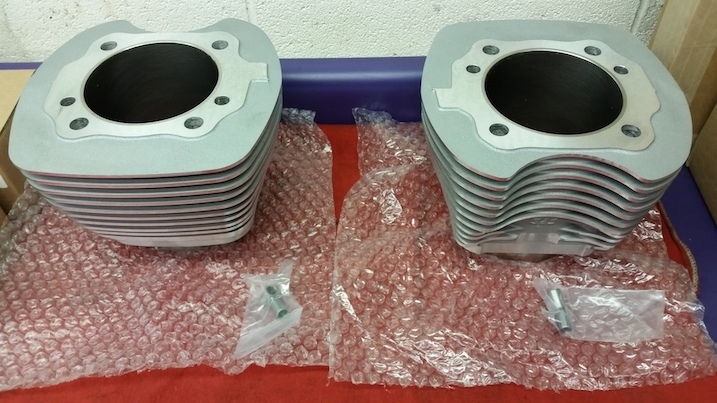 Chrome Harley Davidson rocker boxes and Screamin Eagle adjustable pushrods are installed. The job is completed per factory service manual instructions/torque specs. You can not drop a Harley Davidson 103 or 110 motor into your 1999 Softail without major fabrication. 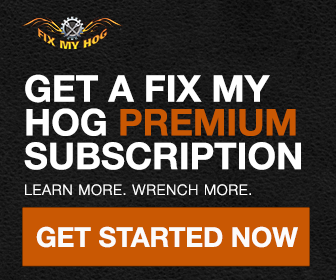 Your best bet is to look into an S&S 124 or building up the motor that you currently run.